The head of the games studio behind Assassin's Creed Unity has emailed players apologising for bugs in the video game and offering them free content. Yannis Mallat, chief executive of Ubisoft Montreal & Toronto, wrote that it had been a "humbling" experience. He is the latest in a series of software bosses to pen such an apology after a glitch-ridden release. Experts said Ubisoft needed to act to protect its reputation. "Assassin's Creed is Ubisoft's most important, bestselling franchise, and it's also generally the firm's most anticipated series by gamers," said Keza MacDonald, UK editor of gaming news site Kotaku. "The fact that after Unity came out, the conversation has been almost entirely about how many bugs it's got and how broken it is in certain areas, is really, really damaging for the company." Ubisoft has traditionally had a more consumer-friendly reputation than some of its rivals. However, its brand had already been under pressure after May's release of Watch Dogs, which many critics had suggested failed to deliver the quality of graphics shown off at the E3 trade show before its release. The issues with French Revolution-set Assassin's Creed Unity were even more clear-cut. Glitches meant the protagonist could fall through the ground, become stuck in hay carts, encounter invisible walls and, at times, parts of his face could become invisible. In addition, frame rate problems and outright crashes led to criticism that the title was not ready for release - particularly the version for PCs. "Unfortunately, at launch, the overall quality of the game was diminished by bugs and unexpected technical issues," wrote Mr Mallat. "I want to sincerely apologise on behalf of Ubisoft and the entire Assassin's Creed team." He added that the company had already released three sets of fixes to address problems with the game's stability, performance and connectivity, and promised more patches to come. "Please keep your feedback coming - it has been both humbling and incredibly helpful as we continue working hard to improve the overall quality of the game," Mr Mallat wrote. Consumers who bought the basic version of the title are being offered an as yet unreleased add-on story for free. Those who purchased a "season pass" - which provides a copy of all future downloadable content (DLC) additions - have been offered another complete game of their choice. Options include the firm's recently released blockbuster Far Cry 4 as well as the forthcoming racing game The Crew. "This is extraordinarily generous," commented Ms MacDonald. "A lot of the time when you get a compensation offer from a publisher it's a back catalogue game or something relatively low value. "It's not a full entire £55 next-generation title that's just been released or hasn't even come out yet. Ubisoft's email came days after Bonnie Ross, the head of Microsoft's 343 Industries studio, offered her "heartfelt apologies" for delays in fixing problems with multiplayer battles in the recently released sci-fi shooter series, Halo: The Master Chief Collection. And last week, World of Warcraft's executive producer J Allen Brack wrote to players apologising for "stumbling out of the gates" with the Warlords of Draenor expansion to the role-playing title. Some gamers have had to queue for hours to be able to log into Blizzard's systems in order to start playing. They have been given a five-day extension to their subscriptions as compensation. High-profile apologies for launch day software glitches are by no means limited to gaming. Last week,Evernote's vice president of mobile products Jamie Hull emailed users acknowledging it did "not do a good job" with the release of the new version of its Penultimate handwriting app. "Simply put, we released this version too soon... We're sorry. We screwed up," he wrote. However, there is a growing perception that after the release of a number games that took months to fix - including Driveclub, Battlefield 4 and Rome 2: Total War - that publishers might be rushing some titles to market before they are ready. "There's a pressure to get games out on time and on budget," said Piers Harding-Rolls, head of games at the IHS Technology consultancy. "With the increased flexibility to send out updates on a regular basis there may be a temptation that if the game is not 100% correct, the publisher can ship a patch in a few days or weeks to correct issues. "But there are plenty of games that are released that are great and finished. And there are plenty of others that have been delayed until next year, presumably because some weren't ready to be released on to the market. 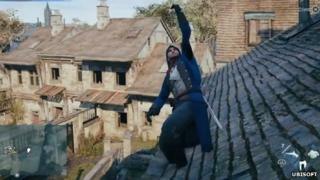 "Obviously Ubisoft made a decision to release Assassin's Creed Unity on its scheduled date, perhaps because it had internal deadlines and financial targets that it had to meet. But the result is that it's had to provide significant recompense to early adopters of the game due to the number of bugs, which will inevitably hit the bottom line."